Do you suffer the ‘sweaty palms’ or ‘knot-in-the-throat’ response to public speaking? Does it fill you with dread and worry to have to ‘present’ or ‘deliver’ a speech or report for work. Perhaps you are already a confident speaker, but you lose the message or fail to stay on track. Alternatively, maybe you have a Eulogy or Best Mans Speech that you desperately want to succeed in delivering to honour those closest to you. You want leave a positive lasting impact on their lives, but are struggling with the speech structure and capturing the right emotion in the audience. Would you like some help and guidance, or somewhere to practice with constructive feedback? Public Speaking is a craft, but like any craft it can be mastered – it takes time and dedication, but anyone can achieve it. Success is most likely when the right environment meets the right system. At Hamwic we know your plight – because we’ve likely been through it ourselves. Our club aims are very simple: We are here to help you become the best public speaker you want to be in an environment that supports that growth. We want to build your confidence and self-esteem, but also help you discover your own inner journey to what goals matter to you in communication and leadership. Hamwic Speakers is a nonprofit public speaking club in Southampton, and it is run by a volunteer committee. Today many people are more comfortable communicating by email or phone, rather than face-to-face. Speaking to large or small groups, or even one to one, can be a nerve racking or stressful experience. At Hamwic Speakers, we create a friendly supportive environment where you can learn how to overcome these challenges and transform your public speaking into an enjoyable and successful experience. Hamwic Speakers is affiliated to Toastmasters International and is part of District 91 (UK South). Toastmasters gives us access to a massive range of learning resources to help develop public speaking and leadership skills. We pride ourselves on creating a welcoming environment and are keen to know what service we can be of to benefit you. In return we hope you’ll feel so at home that you’ll want to attend, perhaps even join, and start to make measurable progress in areas of life that you might have felt held you back in. Even the introvert has a place in our community, we want you to feel at ease, but equally we want to nudge towards the edge of that comfort zone (because that’s generally where most of the growth is had). We don’t rush or force, its all at your own pace, but you will surprise yourself how much courage you actually have. Contact us for a free guest visit: want to come to a meeting? All events are open to members and non members. Whatever stage you are at in developing your public speaking and presentation skills, Hamwic Speakers is a friendly and supportive group of beginner and experienced speakers that meets twice a month to develop our public speaking skills. We have a very diverse range of members of all ages, backgrounds and nationalities. Apart from developing your speaking and leadership skills, it’s a great way of meeting a wide range of new friends. Come along free of charge as a visitor to find out for yourself. As a member of the Southampton branch of Toastmasters, you can learn how to successfully formulate, express and sell your ideas and yourself and reduce the nervousness you feel when you speak. You’ll also improve your ability to listen and evaluate other people’s ideas. As well as developing speaking skills, there’s a whole set of structured leadership development opportunities too. Although most members join just to improve their speaking skills, they soon find out that they learn a whole lot more than that. Established eight years ago, we are affiliated to Toastmasters International – a worldwide, nonprofit organisation of budding public speakers just like you. 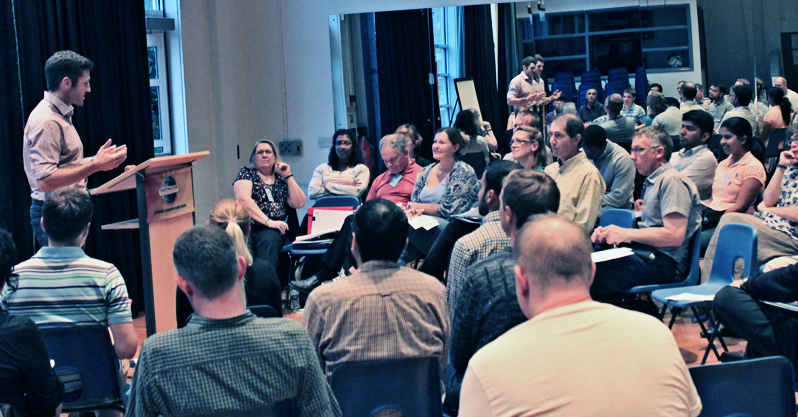 This gives us access to Toastmasters’ resources, enabling us to offer powerful public speaking training to Southampton and South Hampshire based on proven Toastmasters techniques. We truly believe that there is no better form of public speaking training in Southampton and we would love for you to come and join us. Use the form below to book a free guest visit. Toastmasters International has more than 350 000 members in more than 15 000 clubs across 142 countries. Founded in 1924, Toastmasters has helped people of all backgrounds become more confident in front of an audience. 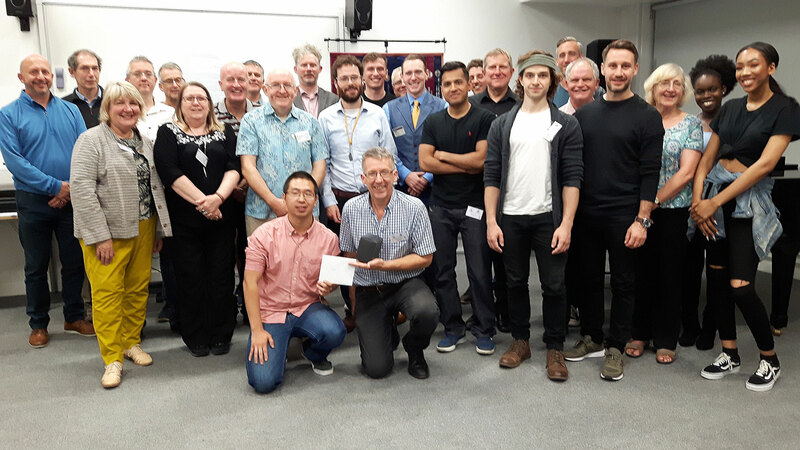 Members of Hamwic Speakers benefit from learning material available from Toastmasters, and can visit other Toastmasters Clubs anywhere in the UK or worldwide or participate in regional competitions. 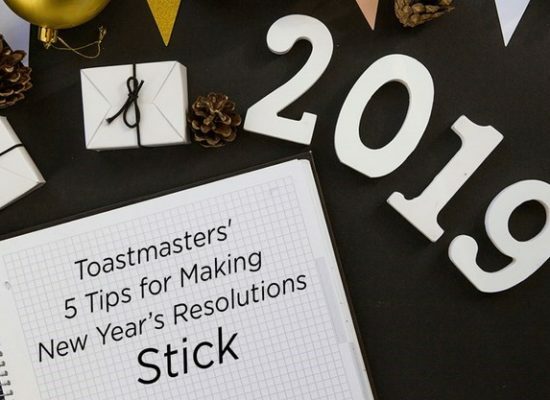 Toastmasters is a non-profit educational organization that teaches public speaking and leadership skills through its worldwide network of clubs. From the front door of Tauntons College, just follow the trail of Hamwic Speakers signs across the courtyard and down the corridor. 1) The rate of improvement I see in people. It's amazing to see how fast they progress, and enjoyable to watch. It's also nice to feel I'm making progress myself. 2) The friendliness. Hamwic is a very warm, welcoming club, where I've always been made to feel at home. 3) The positive atmosphere. In feedback from other members, and particularly evaluations, people always find good things to say about my speeches, no matter how little I give them to work with." "TOASTMASTERS IS THE BEST THING EVER! It has changed me and my life and I tell anyone who will listen how great it is 😀 This has mostly been because of all of you and I can’t express enough how much I love you all and I’m so proud of the great things and magic that happens at Hamwic Speakers during each and every meeting! Facing and overcoming fear, developing confidence, and improving oneself is such an honourable thing to do as part of a supportive group. I am leaving Hamwic Speakers which is very very sad for me. I wanted to say cheerio in person during a meeting, but it’s not going to be possible. So I’m sending you this message and the hugest of THANK YOU’s to you all. This message just doesn’t cut it to express how grateful I am, but it will have to do for now." "I joined Hamwic Speakers because I wanted to improve my public speaking skills and succeed at job interviews. Attending Hamwic Speakers has improved my public speaking and communication skills in general and has helped me get a new job. I was able to appear more confident and cope with presentations at interviews, which in the past has held me back." "Hamwic Speakers has helped me to communicate more effectively. It's an excellent place to achieve your public speaking goals." "Over the last two years my public speaking ability and confidence have improved dramatically due to the skills acquired as a result of my membership at Hamwic. I am now proud to say, that when my father passed away in February 2011, I was able to speak eloquently about him in front of over 500 people. Thank you Hamwic Speakers for making that tribute to my father possible. Two years ago I would not have had the courage to do that." "Ever since I can remember, I have avoided public speaking like the plague. In secondary school I would call in sick if I was asked to present, in Law School I hid in the back of the class and pretended I was not there and during my career as a lawyer, I always had an excuse handy if I was asked to present to a group. Needless to say, my career aspirations were limited by my lack of confidence. In 2009, when my promotional objectives at work included presenting to the Board, I realised that I needed to do something about it, so I joined Hamwic Speakers." "Hamwic Speakers has helped me to gain lots of passion. It's helped my speech and built my confidence. I would recommend Hamwic Speakers because it is fun and always has lots of humour." 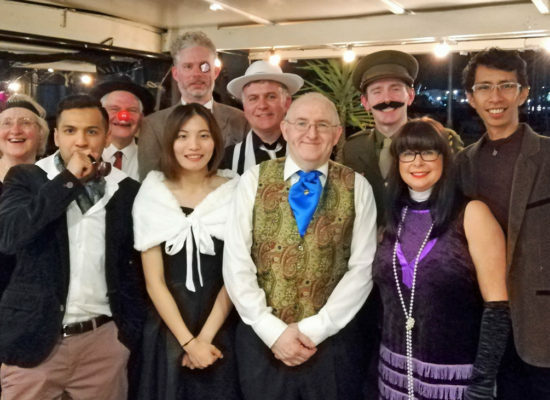 "I'd heard a few people enthusing about how much they had gained from belonging to Toastmasters elsewhere, so when I heard that there was a new club in Southampton I went along to have a look. I was immediately struck by the friendly and supportive atmosphere, with everybody sharing the same goals: to improve their speaking and listening skills. What I hadn't expected to find was how enjoyable it was, and the mix of prepared and off the cuff speaking opportunities really gets the energy level up! I'd recommend anyone who wants to improve their confidence to come along and have a look"
Would you like to come along to Hamwic Speakers? Would you like to come to our next meeting? Do you have any questions? Fill in your details below and we will be more than happy to help. There is no need to join us right away, guests are allowed 3 free visits. So come and see what Hamwic Speakers have to offer before applying for membership. Completely optional, but feel free to ask a question about the meeting. Please tick 'I am not a robot' below to confirm you are a real person not an automated spammer!